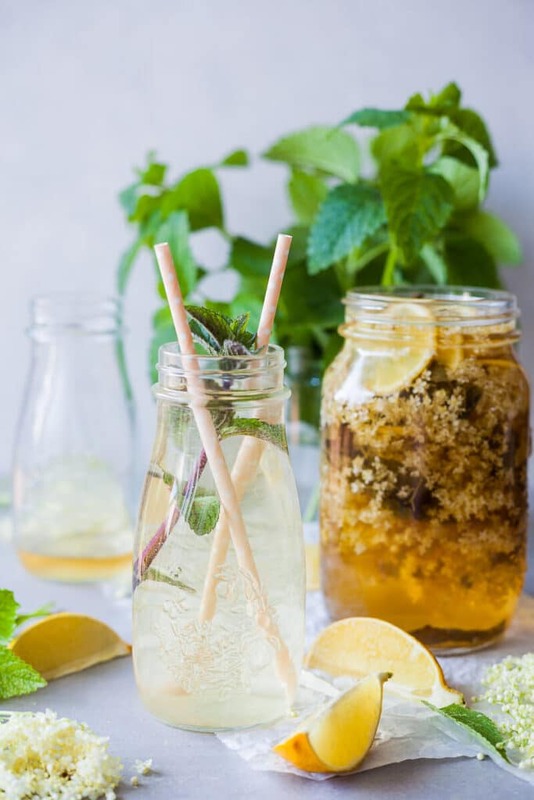 Homemade Elderflower Cordial is a refreshing summer drink that is super easy to make and uses less sugar. 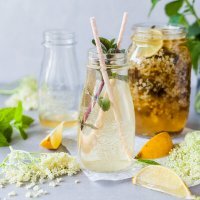 The Homemade Elderflower Cordial is the summer drink of our childhood. When we were growing up, drinking homemade elderflower cordial (and raspberry syrup) was a staple in most households. Growing up in former Yugoslavia, we didn’t have the food and drinks choices we have today and having homemade foods, and homegrown produce was a big deal (and still is today). So this Homemade Elderflower Cordial feels very nostalgic. You may think that making your own cordial is difficult, or time-consuming. But it really isn’t. Our recipe comes together in about 15 minutes, and then it’s just a matter of infusing for about a day, and your cordial is ready to serve (or bottle up)! 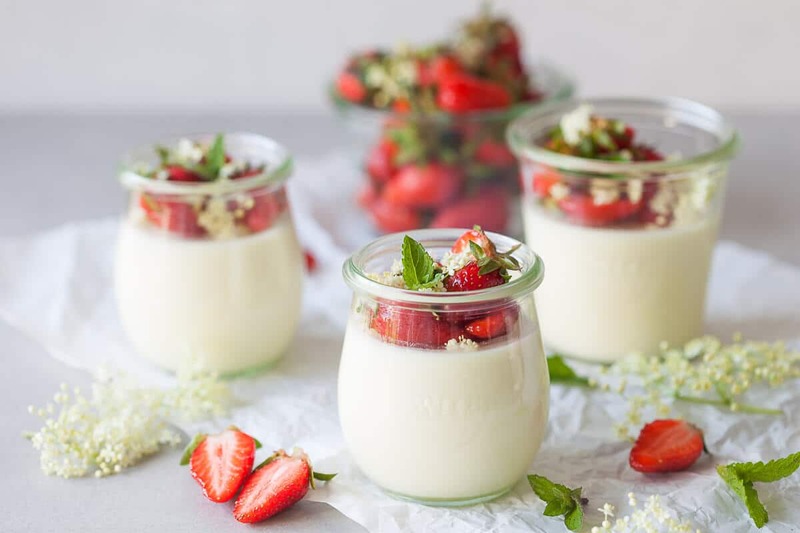 We know that we are a bit late posting this recipe, as most of the elderflowers are not in bloom anymore, but you can still find it at higher altitudes, so all is not lost! 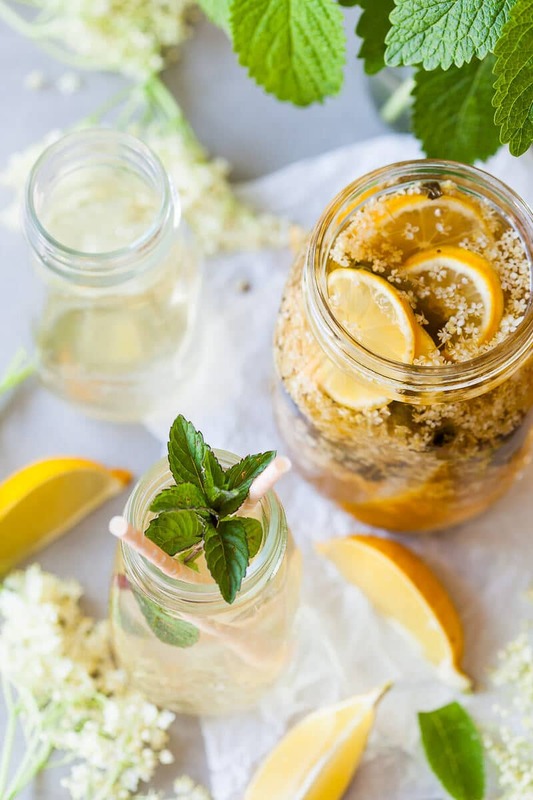 If you have not been having heavy rains all night, as we did, take the opportunity of a beautiful sunny Saturday, take a walk, pick a couple elderflowers, bring them home, and make this recipe ASAP. 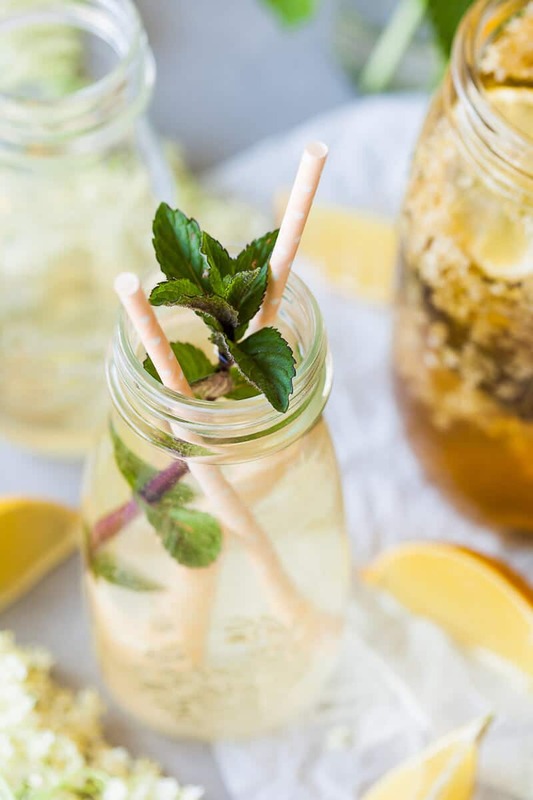 You’ll thank us tomorrow, in the midday heat, when you’ll be refreshing yourself with a glass of this fragrant drink. In this recipe, we cut the sugar almost in half and replaced some of the white sugar with brown, which gives the syrup a deep golden color. You can use any sugar you like, but if you plan on bottling the cordial for winter, we suggest you add more sugar, which acts as a preservative. Usually, you go as high as 1:1 water and sugar. We recommend storing our cordial in the fridge and use it up in about a month, just to be on the safe side. Pour water in a pot, add sugars and citric acid, and bring to a boil. Mix well and let all the sugar dissolve. Remove from heat and let cool down. Add mint leaves, slices of one lemon and the elderberry flowers - remove as much stem as you can and only use the florets. Mix in, then cover the pot with a cheese cloth or a thin kitchen towel, and let infuse for about a day. Strain the syrup and pour it in a bottle. Will keep refrigerated for about a month. Soaking and infusing takes about a day, but other than that is just about 15 minutes of work. This recipe uses far less sugar than store-bought products, so it may not last as long. We recommend keeping it refrigerated. You can connect with us on our Instagram and Facebook or on Pinterest. We share many behind-the-scenes photos and step-by-step recipes in our Instagram Stories, so be sure to check it out! If you like this recipe, you can let us know in the comments below or on social media using #vibrantplate and tag us @vibrantplate. We’re always happy to read your feedback and LOVE seeing your take on our recipes.